The Speedo ® Endurance+ Classic Aquashort is ideal for every day general pool use with excellent Chlorine resistant properties. Speedo ® Endurance Plus fabric is designed to last longer. It is 20 times more fade resistance than conventional elastane swimwear, with improved snag resistance and is 100% Chlorine resistant, as it contains no elastane so will not degrade in the water and for convenience is quick drying as it has a lower level of moisture absorption. An aquashort with a leg height of 27cm. Part of the classic Essentials range this simple style with a small Speedo logo. The front is fully lined with an elasticated waist which can be secured with a drawstring allowing for a better and comfortable fit. Fabric composition: 50% polyester 50% PBT polyester. Trunks were ok but a little small but these are very disappointing waistband is thin and with no recovery and only the cord to support the leg opening for this size is too big and lacs recovery But the rear rise is the major problem It's to short and the seem has little or no stretch the overlooking on the seem does not give enough for the fabric and So makes it VERY uncomfortable I Work for a large and Very Famous Retailer as a Fit consultant and I am very Surprised by the POOR fit of these Trunks they need work I had to revert to an old pair of my own While on Holiday in India Recently So not Very Happy !!!! Really happy with product, well made and perfect for swimming or on the beach. Very quick service once again too. Thank you. Recently used for an open water swim called the Isles of Scilly island hop, 6 Swims and 6 walks over a full day. Wore them throughout and no issues with rubbing, comfortable all day. Would recommend for any swim event. I have worn these shorts a few times and they are really comfy although tight. This is not a bad thing, when in the pool you have no excess material flapping around in the pool. They dry quickly ad do the job, would recommend to anyone from casual swimmers to eople who do alot of swimming. I returned them. Too low cut. 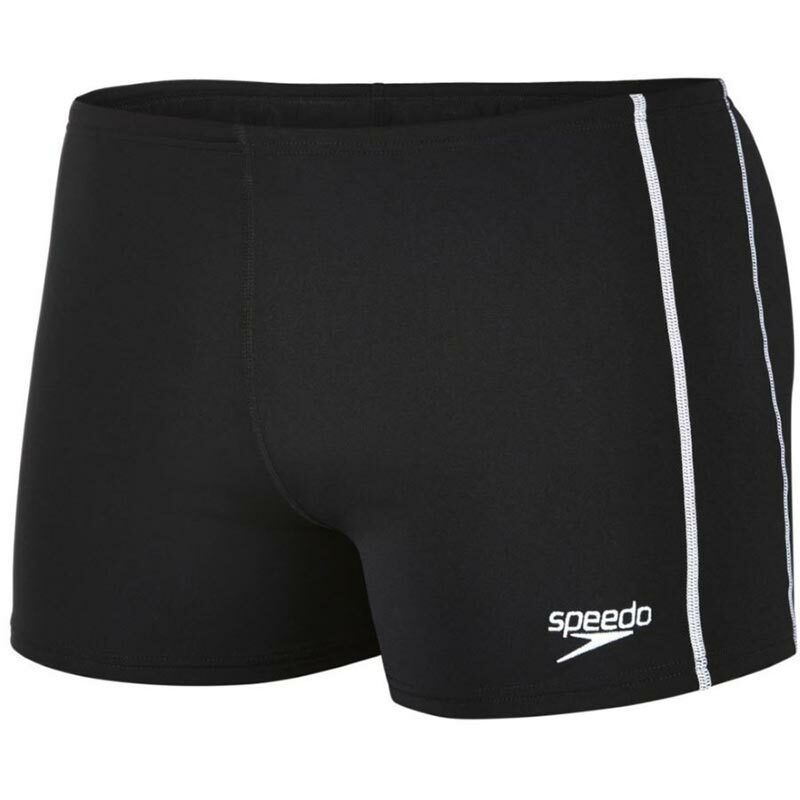 I have used Speedo Aqua shorts for the last few years but it would seem that they have stopped manufacturing the style I have been used to, I am struggling to find a suitable alternative. Very good quality at a good price. Nice fit. Excellent for keen swimmers. Use them at least once a week. Fast delivery. Will buy again! Well made functional swim trunks. Bought these to restart doing some lane swimming at my local pool and they are the ideal kit for this.